The soybean scandal, one of the biggest swindles in American history, broke into the news last fall and is still producing tremors. Losses came to some $150 million. One large brokerage house was destroyed and 20 leading banks were stuck with millions in bad loans. The man behind the uproar is Anthony DeAngelis, who in his spare time donated bicycles to boys in his neighborhood. 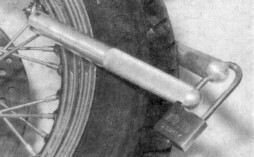 A onetime hog processor, De Angelis became the biggest trader in fats and oils. Today, protesting his Innocence, he faces criminal charges that could send him to prison for 185 years. Veteran Wall Street reporter Norman C. Miller reveals the behind-the-scenes story and raises some important questions that still confront the U.S. Agriculture Department and the businessmen who trade in commodities worth billions. 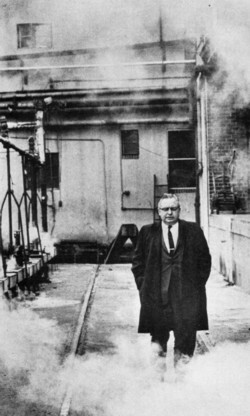 A bland-faced enigma, Tino De Angelis stands amid steamy clouds in his New Jersey refinery. For years, Wall Street wheeled and dealed with Tino De Angelis, a slick operator with tanks full of vegetable oil over inJersey.Then someone looked in the tanks and found the biggest, stickiest financial swindle of our time. About 6:30 one evening last November, managing partner Morton Kamerman of the New York brokerage firm of Ira Haupt & Co. was leaving the office for the day when he noticed a group of subordinates working late - and talking excitedly - in one of the conference rooms. Kamerman dropped in to see what was going on. It had something to do with a complicated deal in commodities, a branch of the brokerage business Kamer man had little interest in and was not too familiar with. A Haupt commodities man was talking on the phone to a Mr. Anthony De Angelis, whom Kamerman had never met, even though De Angelis was the firm's biggest customer. At the other end of the line, De Angelis was shouting that Haupt was putting him out of business and putting itself out of business too. A Haupt partner was on another phone attempting to locate someone who would buy huge quantities of soybean oil in a hurry. Still other Haupt officials were riffling worriedly through the firm's books, adding up figures. Kamerman decided to stay. By the next morning Kamerman had learned a great deal about the commodities business, along with a bitter truth. His own firm was insolvent - obligated for some $18.6 million of debts incurred by De Angelis, who now appeared to be bankrupt. It was the first shock wave of one of the biggest financial swindles in American history, involving losses of some $150 milhon by many pillars of the business community. The Great Soy Bean Scandal which struck Wall Street last fall destroyed Haupt and forced another prominent brokerage (J. R. Williston & Beane, Inc.) into a merger. Some 20 major banks, ranging from the Bank of America to the Bank Leumi leIsrael, were stuck with bad loans. A dozen international trading companies were placed in the position of financing a fraud against themselves, and the warehousing subsidiary of the prestigious American Express Co. is hopelessly insolvent with staggering claims of more than $100 million against it. All of these companies had one thing in common-they loaned money against or otherwise accepted at face value innumerable slips of paper representing the assets of the Allied Crude Vegetable Oil Refining Corp., controlled by Anthony De Angelis. On paper, Allied's assets consisted of enormous quantities of soybean, cottonseed and other oils, which it kept in tanks at Bayonne, N.J., across New York harbor from Manhattan. Allied, on paper, looked to be a solid credit risk in a messy but profitable business-moving oil from the U.S. farm belt into world markets, where it is used to pack sardines and make things such as salad dressing, margarine, plastics and paint. Inside the gray-green storage tanks at Bayonne, however, things looked considerably different. Here, according to charges brought by a federal grand jury, Allied employees were fattening up the assets by turning out warehouse receipts for oil that wasn't there at all. Standing in the middle of the ruins with an air of injured innocence is the only man who could possibly know the full story - the incredible figure of Anthony De Angelis, "Tino" to his pals around Hudson County, N.J. He faces trial next fall, along with four employees. on charges of conspiracy and transporting forged warehouse receipts across a state line, and he could conceivably be sentenced to prison for 185 years. The state line in question between Bayonne and Manhattan is the one Jay Gould and Jim Fiske carried watered stock across a century ago-and as the grand jury sees it, Tino is the all-time champion of the long line of financial con men extending from the Erie Gang to Billie Sol Estes. In some ways, Tino hardly fits the part. He is a fat httle man of 48, with a bland moon face and a somewhat squeaky voice, a hard-working, quiet-living, Godfearing son of Italian immigrants. He crams his 250 pounds into rumpled, ready-made suits, wears no jewelry, and is outwardly almost totally unpretentious. His nominal home is still the sixroom apartment in his father-in-law's red-brick house in the Bronx, where Tino and his wife Virginia moved in right after the wedding 25 years ago. (He has been staying in a New York hotel since a recent separation.) His avocation is donating bicycles and sponsoring races for boys' bike clubs. "Bicycle racing developed me physically. I possess exceptional strength in my hands and legs," Tino will say, eagerly grasping your hand in a crunching grip to prove it. Under this folksy exterior, however, lie the vast self-confidence and the fierce ambition of a Caesar. Tino set out singlemindedly to make himself the biggest fats and oils operator in the U.S. When he succeeded, he relished the power it gave him to move oil and men, and lusted for even greater coups. It pleased him to distribute largess among his retinue of lieutenants and hangers-on, often in the form of cash. As Tino puts it, in his obhque, dignified way: "With fifty of my boys, at least, I was engaged in seeing that they were settled in a solid way in New Jersey communities." There is something contagious about Tino's guileless, open-handed manner when he boasts of giving $500 to a man he hadn't met for 15 years and spending "a couple of thousand" on florists' bills in one month because "people are always dying." It infected people far outside of his usual social circles. A variety of big businessmen were happy to have a part in Tino's expansion plans, and Tino, for his part, was tremendously proud of the connections and prestige his money gave him. Talking about himself, he will occasionally shift into the majestic third person. "Here we have a man born and raised in the poor section of Nevi York, rises to the point where he runs ten, fifteen businesses or plants around the country," he recalled not long ago. Tino got his start in business as an apprentice butcher in a Bronx meat market. He was a go-getter, quickly moving on to a foreman's job with a hog-processing firm and setting new records for the dismemberment of swine. "I had an exceptional ability in knowing how to process hogs," he allows. "Some of my methods. like cutting hogs while moving, cut the cost of processing hogs enormously." Still in his early 20's. Tino opened his own hog-meat firm with $2.000 in savings and a $10,000 loan. He claims he made a profit of $100,000 in the first year and tripled this within three years. By the late 1940's, Tino had the capital to buy stock control of Adolf Gobel, Inc., a big publicly held meat-packing firm in North Bergen, N.J., and this venture, too, seemed to be a smashing success.